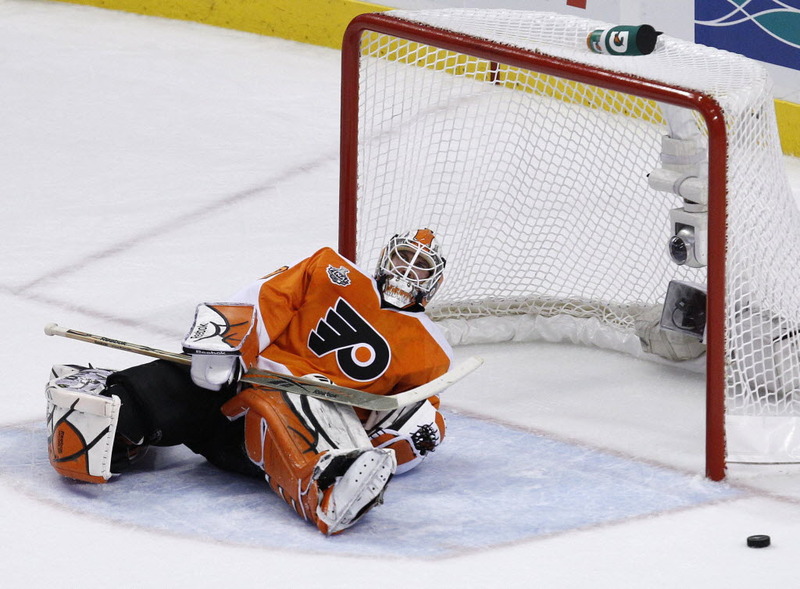 Injuries have suddenly struck the Flyers hard. On Tuesday morning, it was announced that goaltender Michael Leighton will miss a month with a bulging disc in his back and forward Ian Laperriere will be out indefinitely with post-concussion syndrome. The Flyers have officially signed goaltender Michael Leighton to a two-year deal worth a total of $3.1 million. Leighton, 29, is set to make $1.5 million for the first year and $1.6 for the second, equaling a cap hit of $1.55 through the 2011-12 season. However, the signing doesn’t automatically mean that Leighton is handed the starting spot because according to Tim Panaccio of CSNPhilly.com, the Flyers aren’t done shopping. Free agency begins on Thursday, July 1.